The worst thing you could do when you lose your social security card is to panic. That won’t help you and it could only exacerbate the situation. That being said, it is vital that you keep your wits about you. After all, it isn’t the worst thing that could happen. Getting a new card is actually rather simple. 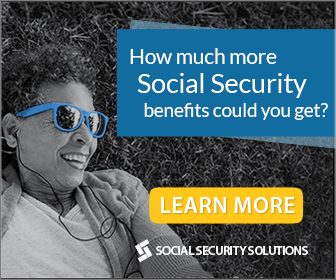 This article provides readers with a simple guide to getting a new social security card to replace the one you lost. The most important thing upon finding out that you lost your social security card is to remain calm and act swiftly. Presented below is a quick guide on how to help you get a replacement card. Report Your Card as Lost – This is probably the first thing you need to do. Once you realize that it is gone, file a report of loss to the proper authorities. This would immediately protect you from any identity theft that might occur. Getting the Documents Together – To get your replacement card, you will have to prove your identity to the social security office. This means that you have to get all the relevant documents and identification cards you have in your possession. Birth certificates and other government-issued documents are vital. For non- citizens, you will need to present the documents that show your current work-authorized immigration status. Just remember, to bring original documents as photocopied will not be accepted. Fill out the Forms – Once you have all the documents with you, it is just a matter of filling in all the necessary information, make sure that everything is correct and up-to-date to avoid any problems. Once you have done everything, it is just a matter of submitting them to your local social security office. You can do it personally or through the mail.